Homegrown veggies are love. Homemade produce is love. Grandmas are love. Grandma’s recipes to make homemade produce with homegrown veggies… well that’s a big old dose of homegrown love wrapped in a comforting sentimental crocheted blankie. 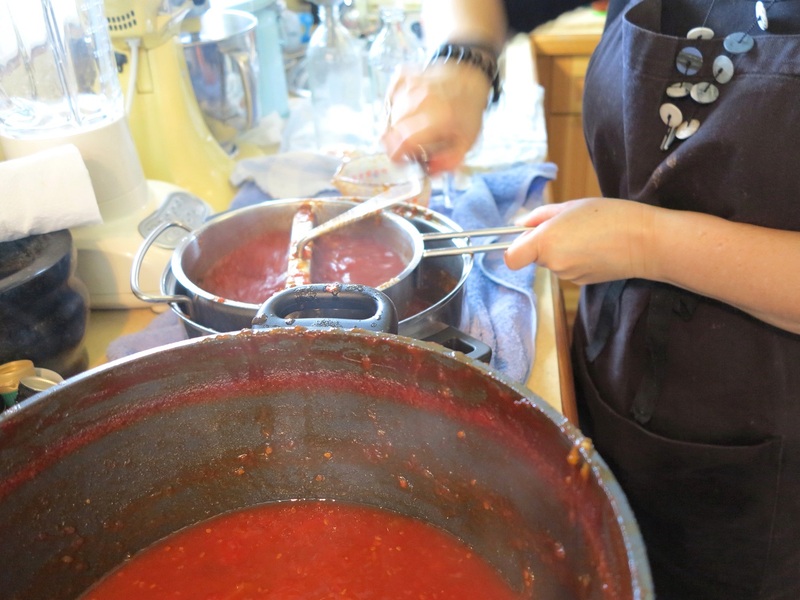 Yesterday was Grandma’s Tomato Sauce day again here at Dove Cottage. It was the first time my sister and I have made it with our own homegrown tomatoes, all 17 kg’s of them! And boy were we in awe of Grandma… again. By the time we finished we were totally exhausted and wondered how Grandma used to manage it by herself as she was getting older. There were the usual culprits on the day… giggles, sticky pots, remembering Grandma, lots of dishes, piano playing, tears, lots of stirring, overflowing sauce bottles, and a house smelling of sweet spicy tomatoes. One of the most special parts of the day is when the Piano is played. The Piano has such a strong connection to both my Grandma and my Gran. 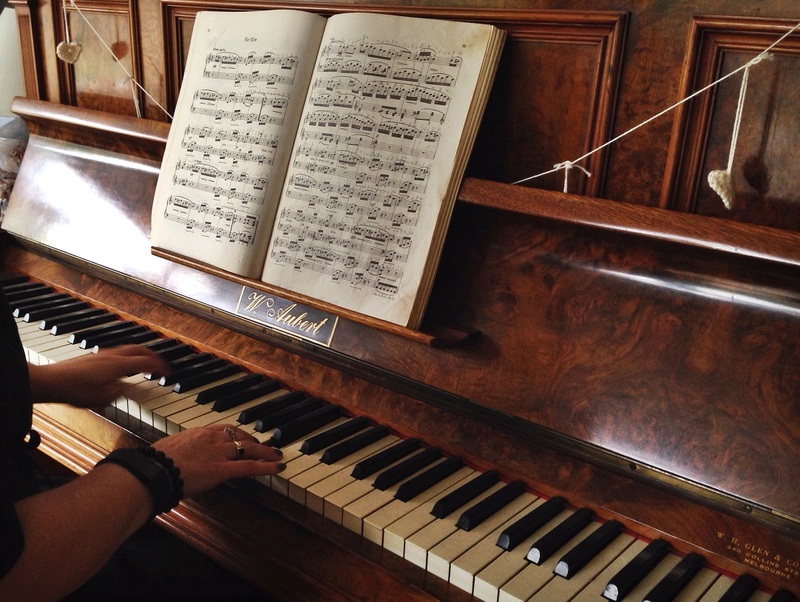 My sister played on Gran’s Piano, using my Grandma’s music book, with skill and feeling nurtured by my Grandma… and she played Für Elise, the song I would always ask Grandma to play. I guess it’s stating the obvious when I tell you that’s when the tears came into the play for the day? I had such a healthy crop of juicy ripe tomatoes (which are still coming), that I had enough to try my hand at some semi dried tomatoes as well. 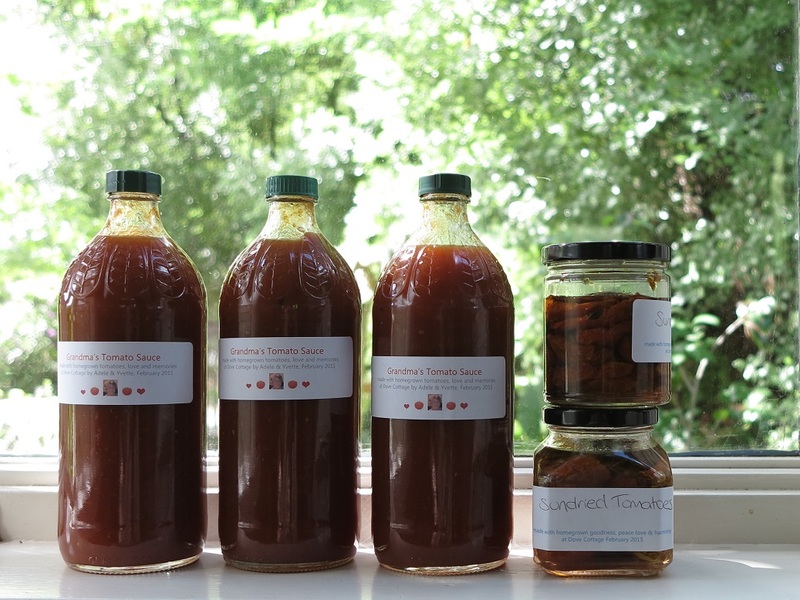 I used the lovely Kate at Foxs Lane recipe and was so pleased with how well they turned out. Tasty little flavour filled bursts of sunshiney goodness. 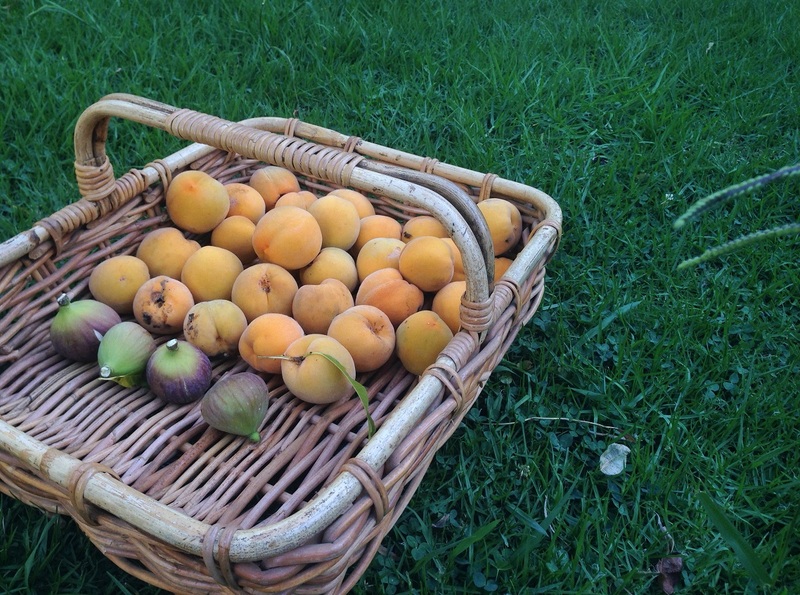 I also have a basket of Clingstone Peaches ready for stewing or baking into cakes. And the last of my Granny Smith Apples need picking too. Plus I’m busting to try this Green Tomato Salsa. I am learning how much time and effort goes into growing and preserving your own food. And I’m learning how satisfying it feels to do so. It’s reaffirming, I’m on the right path heading towards the semi self sufficient farmy dream. Granted there’s no farm yet, this is just the small scale suburban back yard version, but you gotta start somewhere right? 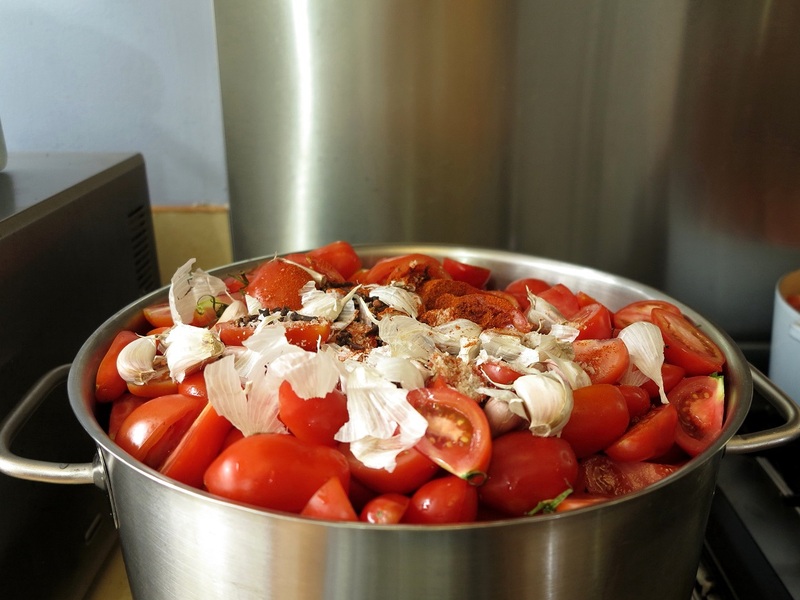 Making Grandma’s Tomato Sauce is not just about the bottles of sauce at the end of the day, though they are pretty darn good! It’s about homegrown love, sister love, remembering Grandma’s love and kindness, honouring memories, feeling grateful for lovely loving grandparents, and taking a little wander down a very beautiful sentimental lane. How about you, is there a special recipe in your life? Do tell. 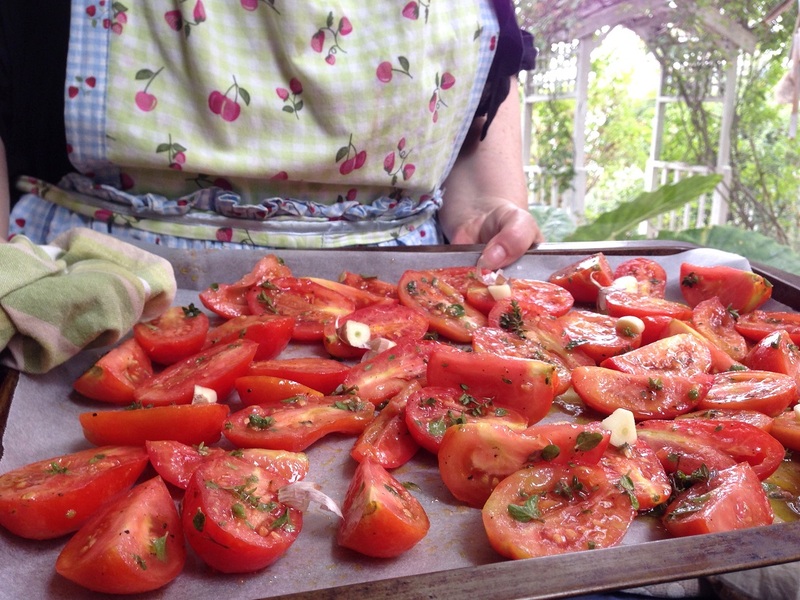 Wishing you homegrown love and sweet juicy tomatoes. 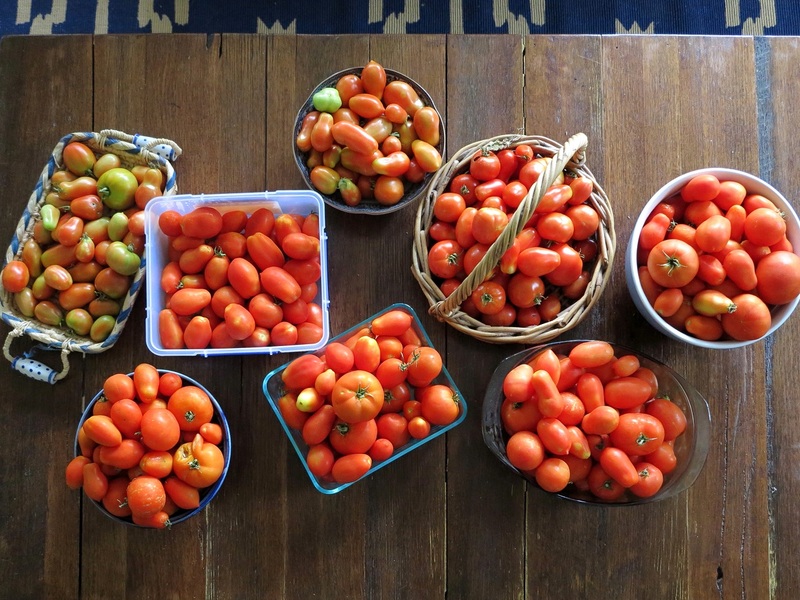 This entry was posted in garden, inspiration, Photography, recipe, Uncategorized, yum and tagged grandma's tomato sauce, homegrown, homemade, inspiration, photography, tomato sauce. Bookmark the permalink. Isn’t all the growing , making , playing music and preserving so wonderfully satisfying to the soul?! Now that IS home grown love! Lucky thing.